These are a few of our favorites for the month of January. 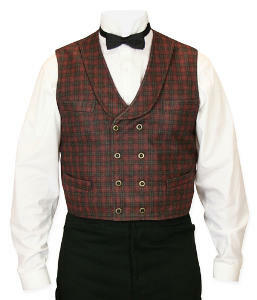 When I was in high school during the early 1950s, fancy vests were all the rage. When mine finally wore out several years later, you couldn’t find any in the stores for love or money. Seeing an old movie recently reminded me of how much I had liked my vest, so on a whim I checked the Internet, and soon found your web site. 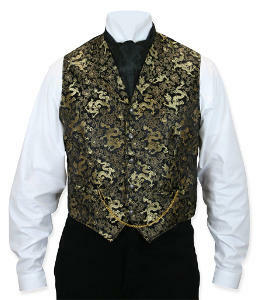 Following up on my broad hint shortly before Christmas, my wife ordered a gold and black dragon vest for me which I really like and wear at every opportunity. It’s exactly as described, and just what I wanted. My birthday wish list will have some more of your garments. Handsome design. Beautifully Made. Softest Material. Quality Construction & Stitching. Tightening tab on back of trousers adds to both look and function. These are High waisted pants, do follow instructions for using belly measurement, vs. waist measurement. They are also very long in the legs. which is no problem what so ever if you can hem them. I got them for my husband for Christmas. He is 6 foot 3 inches tall and normally takes and 36-38 waist. I had to go up a size in the waist from (Large to XL) and down a size in the leg length. once done, perfection. I add this to the review because if your get your sizing correct you will be Very happy with your order! Love these pants. look and feel amazing. Quality is unmatched, Price is reasonable, Shipping was fast. Yes I will do business with Historical Emporium Again. Thank you! 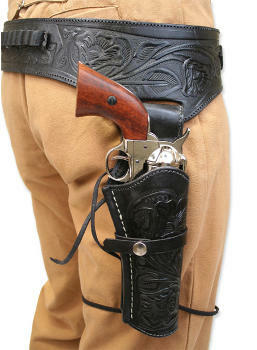 I was looking for a Western Type Holster for a Cowboy Costume. I was taken aback when I realized how much Real Leather worked Holsters went for. I consistently found them on the Internet for $200 to $800 For Real Quality Holsters. I came across The Historical Emporium, and found they had Real Leather Holsters NOT cosplay or FAKE, which were less expensive, and looked a lot better than most on the web. I paid $125 for the same holster found elsewhere for $500. I tried it on and it fit like a glove. I was really impressed by the workmanship, the feel, and the fit. These are very high quality Leather products. I called to make sure I ordered correctly and Noel was one of the Friendliest People I have ever talked to over the Phone. I would highly recommend these high quality products to anyone who does NOT want to throw there money away. At least the Emporium and their Staff are stand up People. I will definitely be back. Thanks guys. By far one of the best vests I ever owned. I’ll wear this to my grave. 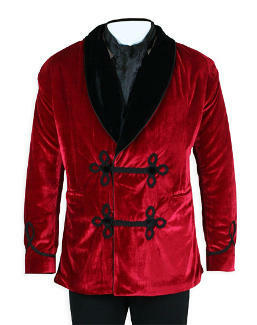 I like this item because it is unusual and rich-looking without being obvious. The material is thick and tweed-like, and this makes the pattern and colors appear more subtle than the photo might indicate. Unfortunately it also picks up lint rather easily; don’t wear it with any item that may shed. But that’s the only criticism I have. It’s well made. The pattern is well matched, which I often don’t find even in more expensive items from higher-end retailers. You must button/unbutton all six buttons as none are just for show. The fit is good with minimal or no taper. That’s good news for those of us who don’t have designer bodies. Overall, I highly recommend this. My boyfriend loves it! Very unique, beautifully made, well fitted, comfortable and regal! He wore it to his company’s New Year’s eve event and the complements were endless! 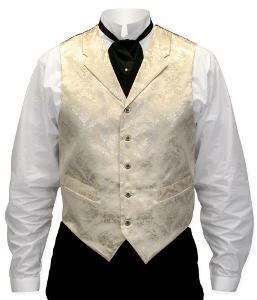 Definitely a statement when worn out but also nice for classy evening at home and having a scotch in style. Soft fabric feels good to the touch as well. 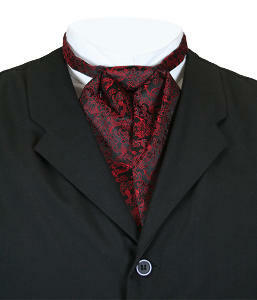 Satin Puff Tie – Red – Drake: Classy! This is my first puff tie I have purchased from G.E. and I am very pleased with it! The red is quite vivid, and really pops. Easy to adjust to fit, easy to wear. The only issue I have is not with the tie, it’s with the many reviews I’ve read that claim the metal clasp is not authentic! I did some research and found the identical clasp in many, many period photos! So buy with confidence, and trust the good people at G.E. to have done our research for us.